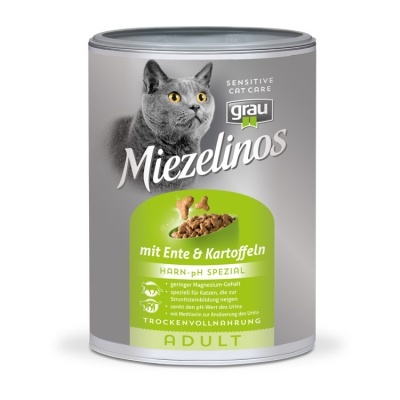 Miezelinos Sensitive Cat Care - This dry complete food meets the highest requirements. 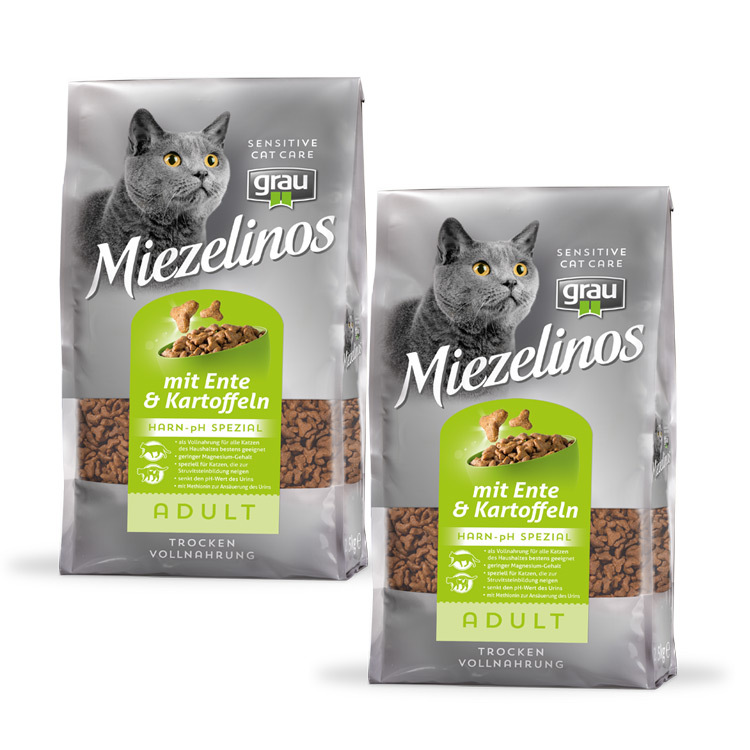 Highly digestible sources of protein, selected carbohydrates and a nutrient profile that adapts to your cat's age and requirements guarantee balanced and optimal nutrition. 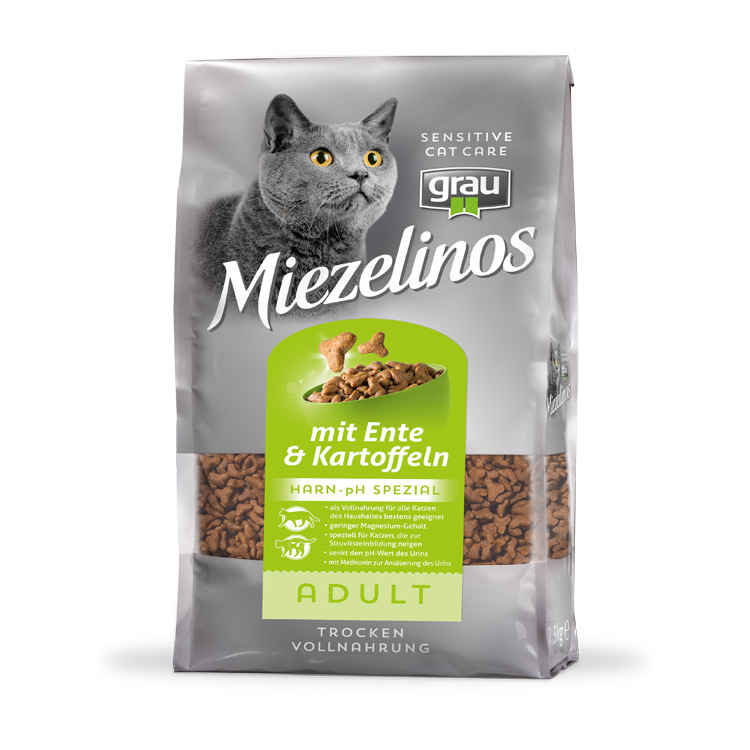 Miezelinos ADULT Urine pH Special products have been especially developed for animals with urinary tract problems, inflammation of the bladder or a tendency to form renal gravel / kidney stones. FLUTD (feline lower urinary tract disease) is the technical term for this ailment. (a component of the most frequently occurring kidney stones in cats, struvite crystals). after just a short period of feeding, considerably reducing the danger of renal gravel formation. 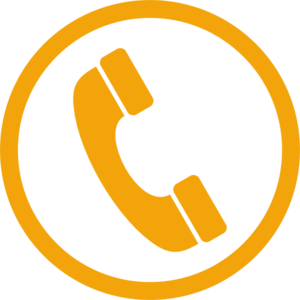 This complete food can also be fed preventively and permanently to cats where problems of this kind are not a concern. All the cats living in a household can thus be fed in a uniform way.